This activity can be used in a bunch of ways... but we made it a counting activity. Our main goals were to MOVE and HAVE FUN. 1. Print off the lily pad template several times onto colored cardstock. I made 10 lily pads. 3. Write numbers 1-10 on lily pads (one number on each lily pad). I also wrote numbers 11-20 on the backs of the lily pads. As a help for younger kids, add circles to each lily pad to correspond with the number written on the lily pad. For older kids, have them write or trace the numbers themselves and nix the prompt circles. 4. Grab some stickers and read the number on each lily pad. Stick the correct number of stickers on each one. For example, if the lily pad has the number 3 on it... stick 3 stickers on it! 5. Stick the lily pads to the floor using painters tape... and start hopping! We did a variety of things with our lily pads... so use your imagination. I typically like to come up with open ended activities for my son so that there isn't one right or wrong way to play. He is very rules based and can get stuck on specific rules... I am trying to teach him to go with the flow more, so sometimes our activities don't have any rules or we just change them constantly. This activity was great because he was constantly coming up with new ideas of ways to play with our numbered lily pads! - Spread the lily pads around the room and hop from each lily pad to the next, counting aloud (up from 1-10 or backwards, from 10-1). - Come up with different ways to hop/move. Pick a numbered lily pad and choose how everyone is going to hop when they are on that lily pad. This was goofy and fun... and helped us learn some new words and motor skills. 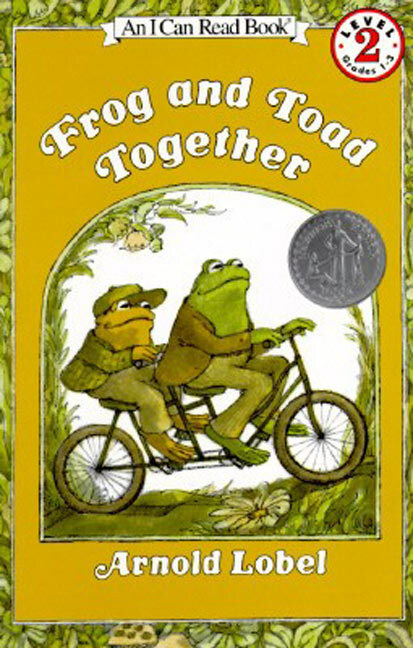 We hopped, did twirls, made giant steps, pranced, skipped, galloped, grapevined, jumped backwards, etc. We also blasted off like rockets when we counted backwards. We also had the baby join in and that was the silliest... my son thought it was hysterical when I held his sister on the lily pad and had her pretend to jump or blast off like a rocket. He counted for her while she moved. - Write alphabet letters on them instead, spread them around the room and then hop to the different letters. Learning is way more fun when it is hands on and active! Language learning is especially more effective when it is paired with physical activity... and even more fun when done with a friend or someone you love! We ended our Lily Pad Hop activity right when it was naptime. You can imagine that my son wasn't too excited about being done with playing. 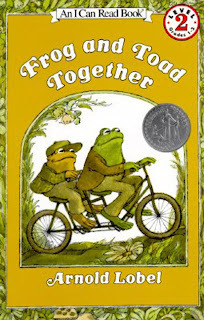 We hopped up to his room together and then found my favorite frog book to read- Frog and Toad Together by Arnold Lobel. My favorite chapter is the one about will power and cookies. If you know me well... then you'll know why. :) I have no will power when it comes to cookies! We decided we'd need to eat some cookies when he woke up from his nap... so he went to sleep quickly! Over the next few weeks we are going to be doing a lot more activities that require us to MOVE. EJ also has a fun get moving challenge that she's going to be sharing with everyone later this week... so stay tuned! What a great idea! I just got some self laminating paper and I am looking forward to using it for a variety of activities.